Joyland Casino will be closed by its parent company, William Hill, for strategic reasons in early 2016. CasinoBonusKing has hundreds of other sites to find incredible bonus offers. The main page of Joyland Casino looks a little amateurish, which is unfortunate since the casino has obtained a respected license. 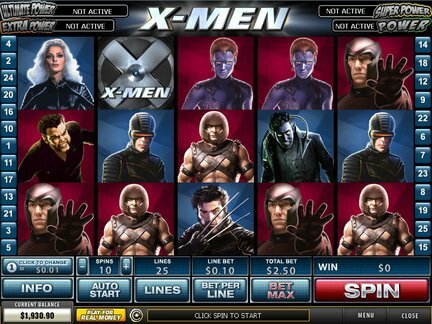 The graphics don't even compare with what many new online casinos attempt to showcase on the main site. But when one delves into the actual offer more deeply, the casino has no reason to fear the competition. There are plenty of good games on the site. The player can quickly start playing for real money. The casino software has to be downloaded first. The installation wizard guides the visitor through the simple & quick process. The promotions section does not look as improverished as the main page. It has a number of deals that are worth exploring. First of all, the casino offers $25 (or €25 / £10) for free to anyone who signs-up and provides the requested e-mail verification code. Up to $100 (or €100 /£100) can be gained from the 100% match bonus that is given out to new players (a very nice Joyland Casino bonus deal). A high roller bonus also exists on the site. It is an exciting deal for those who can make a deposit of $3,000 (or €3000 / £3000). They can count on $850 (or €850 / £850) in return. The second deposit deal allows the player to get up to $500 (or €500 / £500). The casino allows the players to collect comp points. A wager of $1 makes it possible to earn a single comp point. The VIP level at which the player is found really counts. If a friend gets referred to the casino, it is also possible to benefit from that. A reward of $50 is given to such people. The friend must actually deposit $50, if the benefit is to reach the one who spreads the news about the venue. The casino is focused on the European market. However, the players from other parts of the world will also feel welcome at the place. Since the casino is owned by William Hill, the player can expect find a very stable platform. In the FAQ section, it is possible to see the whole list of countries from which the players won't be able to set up an account. Here are just a few of the countries with restrictions in regard to casino access; United States of America, Turkey, South Africa, Singapore, Norway, China and Australia. There is no comprehensive listing of the games on the site, which is a disappointment. Many visitors would like to know what to expect from the casino in terms of the provided games. Only a few highlights are shown. So games like Amazon Wild 100 Line Slot and Gladiator make an appearance. Altogether, the game offer features 80 titles. The main game categories would include; Video Poker, Blackjack, Progressive Slot Jackpots, Video Slots, Multi-line Slots, Single-line Slots, Caribbean Poker, Craps, Roulette, Baccarat, Keno, Arcade Games & many others. Despite the fact that the casino has a site that doesn't look very impressive, the overall opinion of the casino is actually quite good. The casino has been established a long time ago. To this day, the venue has not been the subject of many complaints. On the contrary, the positive features of the casino are emphasized in many of the reviews by players. The website provides support through live chat (The software has to be downloaded first) and e-mail. There are distinct phone numbers for Canada and the UK. There is also an international number that can be seen in the contact section. The casino is operated by WHG (International) Limited. The customers in Great Britain can feel safe with the knowledge that the casino is licensed by the Gambling Commission. All other customers can rely on the license from the Government of Gibratar. The company has registered an office in that place. Both licensing bodies are respected in the world of online casinos. When I first came across the site, I was deeply disappointed. The web design was terrible. There was no showcase of the games on the site. But when I looked into the actual offer, the opinion has shifted in a more positive direction. I am now convinced that the casino has a potentially bright future, if it makes some changes to the organization of things. The players need to know what they are dealing with when they enter Joyland Casino. Therefore, the website needs to add some important information to the main page. This would allow the players to see the full extent of the casino's offer.